In 1985, a group of agricultural scientists set out to evaluate the mineral content of primary farmers in the U.S. The first stop was the Jolly Green Giant Farms in the San Joachim Valley in CA. To their horror, the researchers found NO calcium or iron content in the soil of this prominent produce supplier. Fast forwarding to today, the results certainly aren’t any better. In fact, they are worse. How do you go from “zero content” to worse you might ask? Well, instead of having no valuable minerals in the soil, you have pesticides and other chemical poisons. I’d say that’s worse, wouldn’t you? 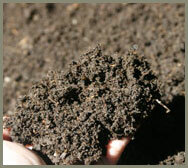 Obviously, if something is in the soil, it’s in our foods. So, in the interest of becoming more medically prepared and in taking care of ourselves, warding off disease, what do we do? 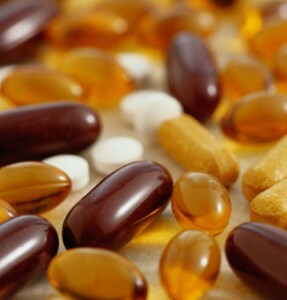 For many of us that answer is vitamin and mineral supplements. But for the educated preparedness-minded person this so-called solution poses four problems. 1) Synthetics: I recently attended a medical lecture in which the doctor claimed that nearly all of the capsules for vitamins and minerals we take are synthetics which are rejected by our bodies. While they are able to leave a trace signature on our cellular make-up, paying for them is like buying an entire car but only taking home the steering wheel, for all of the good they do. We are better off getting our nutrients in a food or colloidal form and are definitely better off getting it naturally. The primary reason being that synergistic nutrients which come with perfect formulation in the foods that God has made, are easily absorbed into our bodies. You’ll hear many doctors tell arthritis patients to get more calcium, but in order to do that they have to take other supplements such as Vitamin D, in order for the calcium to be absorbed. In the case of foods such as broccoli, which is a good source of calcium, it comes complete with all of the other nutrients so that our bodies can actually absorb those foods. Uh, but all of this is a moot point given the soil testing results which continue to show poor nutritional value in our nation. 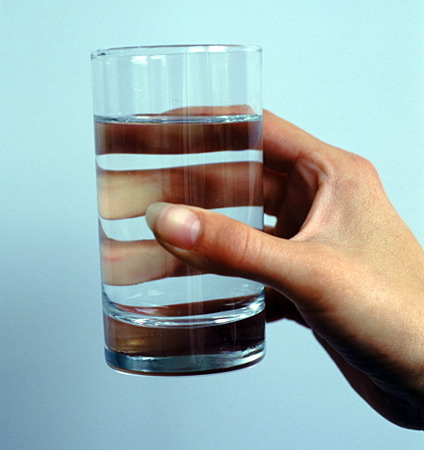 2) Water: The other problem is our water intake. Clean water is absolutely necessary to transport the nutrients in our blood and to our vital organs such as the brain, heart, liver, and kidneys. And yet you will rarely see the “Directions for use” on a bottle of vitamins to encourage increasing the amounts of water one takes for ideal cell penetration of nutrients. So, without water, even the best of nutrients do nothing but pass through our bodies and make deposits in our sewage system. 3) Expense: The average cost increase for organic produce products which are grown in nutrient rich soil is 50-70% more than non-organic products. That’s pretty steep in any economy, let alone a struggling one with record high unemployment rates. When hard times hit U.S. families, skimping at the dinner table is one of the first cuts made to the family budget. Vitamins and other nutritional supplements is $10 billion dollar a year business, and this only takes into consideration the mainstream vitamin resources. So, a desire to be healthy requires a financial sacrifice to most Americans, or some extensive work in growing their own. The problem is, less than 5% of American families actually have the necessary land to grow a garden sufficient for their family, and even less than that actually have the know-how to make it a nutrient rich garden. 4) Accessibility: That brings us to our last obstacle—access. While farmer’s markets are sprouting up all over the nation during the summer season, it still leaves a void in a healthy diet the rest of the year—even if one was willing to splurge for the more nutrient dense products. For a preparedness minded person, this is an uncomfortable reality. So, is there a solution? You bet, and it’s easy, affordable, accessible, and requires very, very little space—even the dwellers of a tiny studio apartment could provide for critical vitamins, nutrients, and proteins for themselves with no more space requirement than 12 inch square space. The answer is called sprouting folks. And to this proud Prepper, it’s a God-send. If I only had a couple hundred dollars to use on my food preparedness efforts this year, I would spend it all on sprouts. I’d purchase a variety of sprouts such as mung bean, broccoli, lentil, wheat, radish, and so on. Why? Because if I had to, I could live on sprouts and water for a very, very long time, and still provide my body with the critical, absorbable, nutrients that it needs. At the very least, I can use sprouts in lieu of vitamin and mineral pills. This is why sprouts are such a key part of my preparedness pantry today. Remember, you can sprout just about any seed, nut, grain, or legume and when you do so you will compound the nutritional value by anywhere between 500-600%! More importantly, because it’s natural nutrition, it will fully penetrate the cell walls and even help oxygenate each cell about 5-10%, depending on which sprouts you choose. Contrary to some myths, sprouts do not require sunshine. All they need is water and time, usually no more than 2-5 days, again, depending on the sprout. As an “emergency nutrition” scenario, supposing that you don’t have a couple of days, if you were to simply soak your nut, seeds, grains, or legumes in water for 30 minutes, you will have activated the nutritious enzymes to the point that you will have as much as a 120% increase in nutrition! Basically, seeds etc. are alive—so long as they haven’t been killed due to a lack of oxygen, an abundance of heat, or mold. When you add water to them, it causes the inherent enzymes to activate and come alive, thus feeding you with ideal nutrition that your body craves! Even better, if you store your sprouts in a cool, dry place, you will be able to keep them alive for decades, whereas I have yet to find a way to keep bottled vitamins—particularly the synthetics—good for much longer than a year past their expiration date. To me, this caused a small amount of concern since I recognize the value of nutrients to one’s body, and like many of you, I make use of freeze-dried or dehydrated products on a regular basis. While I can get some nutrition in this manner, it’s simply not enough to ward off disease, let alone to treat illnesses. Just so you know, the Chinese used sprouts for centuries as medicine. I have done the same over the last couple of years to treat a cold, or fatigue, or an overwhelming sweet tooth. Just pop a handful of sprouts into my mouth and I know that I’m getting my “pro-biotics” for the day. I also put sprouts in soups and casseroles just before serving so as not to cook out all of the nutritional benefits. And of course, I love the sprouts on salads and sandwiches. Sometimes, I’ll just much on a bowl of mung bean or garbanzo bean or almond sprouts. Even “nervous eating” is satisfied with this strategy. Don’t worry folks. 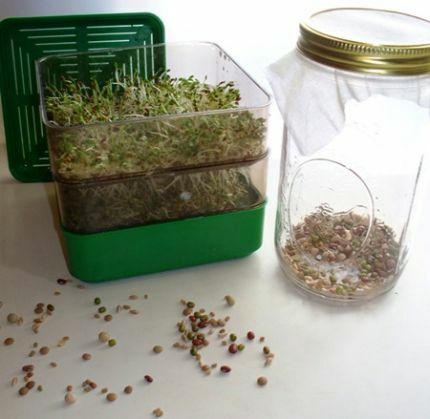 Sprouting is really, really easy to do. I have always had not so great results with my gardening efforts, but sprouting has proven to be no problem for me. I just recommend that you start out with organic, non-GMO sprouts. I also recommend you using some tools to make your sprouting easy and foolproof—tools such as the Kitchen Sprouter, or even mimicking the benefits of a Kitchen Sprouter by using stacking square buckets so that you can grow enough to feed your whole family. I recommend that you have 15 pounds of “veggie” type sprouts for each adult family member for a year of quality nutritional supplement preparation, and 5-6 pounds of the more protein-oriented sprouts for each adult for one year as well. These two ratios should easily provide you with ample daily servings. So, that’s my easy solution for quality nutrition each day of the year. If you do an internet search you will find tons of information on which sprouts have what calories and proteins, etc. It’s a fun world out there. Enjoy! Author’s Note: For those of you who would like to take advantage of a “sprouting sale” Five Star Preparedness’ September group buy is sprouts. I know it’s been going on for a while, but there are still some days left in Sept in which you could take care of your sprout needs through group buy pricing. To check out their special, just go to www.fivestarpreparedness.com/groupbuy Oh, and they also have the Kitchen Sprouter that I love to use, cause it allows me to make several different sprouts all at the same time and with very little babysitting. Kellene, I agree that the Kitchen Sprouter is AWESOME! By far the easiest way to sprout ( I bought two units, and stacked all the drip trays together - works wonderful!!). I do have a question on seed storage and lack of oxygen. Should I not be storing my seeds (sprout or garden) in an ammo box? What about those long-term storage seed cans? I wouldn't store mine in an ammo box. I prefer to store them in their original paper packets, or put them in an envelope and then I store them in open containers such as buckets, baskets, and bins. The long-term storage seed cans are usually ok so long as they haven't used a huge oxygen absorber. What I've done with mine is removed the oxygen absorber and sprinkled diatomaceous earth over the top. Could you be more specific for us newbies to sprouting. 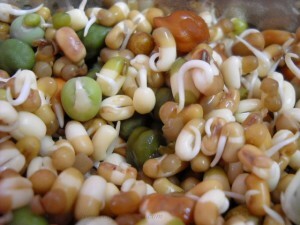 Which are classified as "veggie" sprouts and which are more protein oriented sprouts? 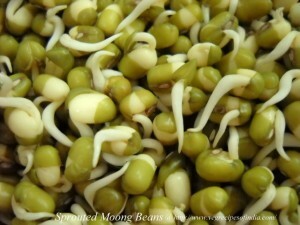 And when sprouting mung beans, do your look like the plump ones in the store? Mine always turn out looking rather scrawny. Thanks, love the blog! Your lentils and beans and grains usually have a good protein make up, whereas your radish, broccoli, and other traditional vegetable named sprouts are your veggies. I've had my mung beans turn out both ways. I think it depends on the amount of water they are getting and the quality of the sprout. Kellene: what is the group buy name to put in for the group buy special? Thank you. They always provide that on the pdf flyer that you get when you put in your e-mail address. I don't ever know it otherwise. If you go to that website, you'll see the specials and the code for the group buy. Thanks for the info on sprouting. You mentioned that you are not good at gardening. Take a look at Mel Bartholomew's book "All New Square Foot Gardening". It will change the way you garden forever. No digging, no weeding, no tilling and very little space is required. Grow your own nutritious fruits and vegetables. Good luck. Would like to comment on the storing of seeds. I store my seeds in the freezer. Up north here, I have found over the years of my gardening, that frozen seeds have a higher germination rate than unfrozen seeds - that is for gardening use. I have never frozen seeds for cooking (i.e., Great Northern, etc.) but it might be a good experiment to see if freezing those kinds of seeds would improve or preserve germination. I know that the U.S. government is freezing seeds at the poles to preserve them, so storing seeds in the freezer might be desiring for keeping seeds viable for several years if not going to use them for a while. Actually, freezing sprouts does not improve their germination. Also, just a clarifier, it's actually Norway that is storing/freezing seeds, not the U.S. Wish that they would think that way though. On the mung bean sprouts, if you sprout them in a 6-8in can with little clean rocks-like pebbles or marbles in the bottom, they get thick and long like the sprouts in the store. Put the beans in first and then the rocks-just a few on top. The rocks make them thick and the deep small can is dark at the bottom and it makes them shoot up to the light. Sounds weird but it works! Hmmm...I haven't ever tried that. Sounds interesting. Thanks! I've often thought about trying sprouting, but haven't started it as yet. Is there the book of books on sprouting out there. Are sprouting seeds different than "normal" seeds? I'm gone 15.5 hours a day. Along with all of my daily chores, is there time for me to sprout? Thank you for the subject and efforts. Yup, there is definitely time to sprout. You sound as busy as me--perhaps a bit more. But all it involves is water in the morning, drain, and water in the night, and drain. It's VERY, very easy. If I were you, I'd start with a simple sprouting kit that you can easily on Amazon.com. that will have everything you need, including a beginning sprouting book for you. Thank you very much. It will be my next prep purchase. You had mentioned in one of your shows a dressing that you use with sprouts, and said to do a search on your site. I've searched dressings, sprouts, recipes, cooking, and cannot find it. Could you refer me to the dressing recipe that you mentioned to use with sprouts? thanks! Iv'e found some really good recipes ! This blog is the best bean sprouter blog iv'e ever found! We love you at home! You have helped us through hard times of sprouting. Goodness me your good. Thanks.. loving the blog so far. Yes, but it's not recommended for longer than 10 days. Thanks for the recent reply , was a big help! Is there a certain type of beansprout Inwhich grows quicker in the w inter?? Hello , Is it possible to grow vanilla beans from home? I know i can google this but i'd much rather get it from an expert. When it comes to gardening, I'm not an expert, that's for sure. I'm still learning and sharing what I learn as I go along. ;-) I managed to do indoor avocados and one vanilla bean plant but only kept focused on it long enough to say "I've done it" and that's that. Controlled environment is key. Ok , what was the weather like when the vanilla bean plant was being grown? I'm not sure whether it makes a difference but just want to make sure. It was controlled environment indoors. 68-70 degrees, dry.